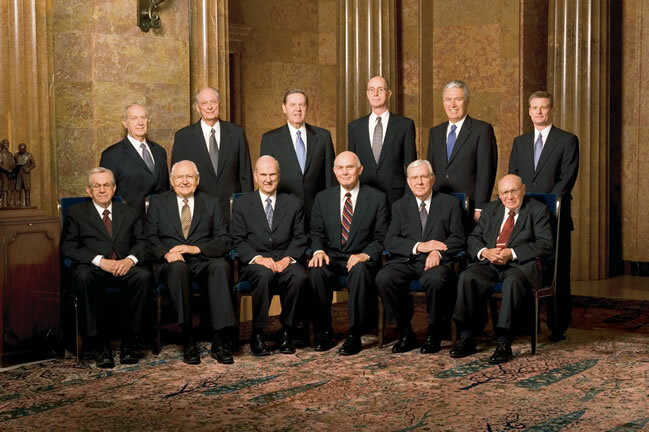 Mormonism: What are Modern Apostles? In April 2013 the 183rd General Conference of The Church of Jesus Christ of Latter-day Saints was held in Salt Lake City, Utah, and broadcast all over the world through various forms of modern technology. Mormon General Conference, with five sessions spanning two days in April and October, is an opportunity for members of the Church of Jesus Christ to hear from church leaders, some of whom are apostles of the Lord Jesus Christ. These are revered as “prophets, seers, and revelators,” led by the president and prophet of the Church, who holds all the “keys” for the administration of God’s kingdom on earth. As with the apostles of old, modern apostles are special witnesses of Jesus Christ. They speak not from faith, but from knowledge, as they have seen Him. The Saturday morning session of April 2013’s General Conference brought two undeniable apostolic witnesses that Jesus is the Christ. Boyd K. Packer is now 88 years old. He spoke of aging, and how as the body breaks down, the spirit continues to be enriched by the conveying of knowledge through the Holy Ghost. At the end of his address, he bore testimony that he knows Jesus is the Christ. He has a sure witness that has transcended faith. Christ has revealed Himself to this apostle. 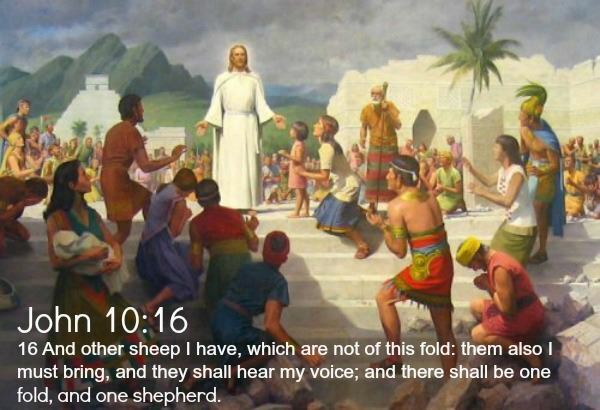 Later in the session, Henry B. Eyring, a member of the First Presidency of the Church of Jesus Christ, explained that he knows Jesus is the Christ the same way Joseph Smith knew it, by seeing the Lord. In the Doctrine and Covenants, a collection of modern revelations, there are several accounts of Joseph’s Smith’s personal visitations and visions of the Christ. In two of those experiences, Joseph wasn’t alone. The first, of course, is what Mormons call “the first vision.” A boy of 14, Joseph went into a woods on his father’s property to pray. Confused by the conflicting doctrines of various Protestant sects who all claimed the Bible as the basis for their teachings, Joseph felt like he couldn’t resort to the Bible to find out which of the sects was true. Joseph had no idea his venture would lead to the restoration of lost priesthood keys and the re-establishment of the fullness of the gospel of Christ to the earth. Joseph saw God the Father, and Christ the Son in that vision, and they instructed him personally. I am the first and the last; I am he who liveth, I am he who was slain; I am your advocate with the Father (D&C 110:1-4). Hear, O ye heavens, and give ear, O earth, and rejoice ye inhabitants thereof, for the Lord is God, and beside him there is no Savior. Great is his wisdom, marvelous are his ways, and the extent of his doing none can find out. Of whom we bear record: and the record which we bear is the fullness of the gospel of Jesus Christ, who is the Son, whom we saw and with whom we conversed in the heavenly vision. …the Lord touched the eyes of our understandings and they were opened, and the glory of the Lord shone round about. And we beheld the glory of the Son, on the right hand of the Father, and received of his fullness. And we saw the holy angels, and them who are sanctified before his throne, worshiping God, and the Lamb, who worship him forever and ever. And now, after the many testimonies which have been given of him, this is the testimony last of all, which we give of him: That he lives! For we saw him, even on the right hand of God; and we heard the voice bearing record that he is the Only Begotten of the Father—that by him, and through him, and of him, the worlds are and were created, and the inhabitants thereof are begotten sons and daughters unto God (D&C 76:1, 2, 11, 12, 14, 19-24). 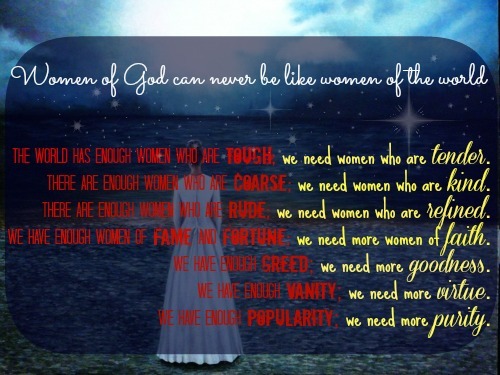 This is the true Church of Jesus Christ. 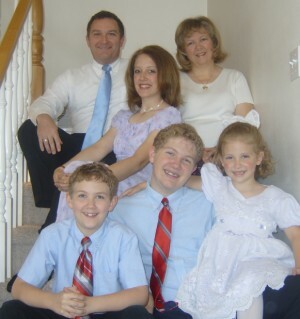 Only in the priesthood keys held by President Thomas S. Monson is the power for us to be sealed in families to live forever with our Heavenly Father and the Lord Jesus Christ. We will on the Day of Judgment stand before the Savior, face to face. It will be a time of joy for those who have drawn close to Him in His service in this life. It will be a joy to hear the words: “Well done, thou good and faithful servant.”19 I so testify as a witness of the risen Savior and our Redeemer in the name of Jesus Christ, amen. Modern apostles have been ordained of God beginning with the heavenly messengers who ordained the first prophet of this dispensation, Joseph Smith. That authority comes from Christ Himself. The authority and power and priesthood keys are the same as those exercised by Christ’s apostles in ancient times. They have been called and set apart as special witnesses of Christ in preparation for His Second Coming.